The recent horrific terror attack driving a massive truck into the crowds shopping for the holiday at Berlin’s Breitscheidplatz Christmas Market murdered at least twelve people and at least fifty people were injured. There have been accusations that the German authorities were too lax and did not respond to terror warnings that just such an attack was potentially imminent. 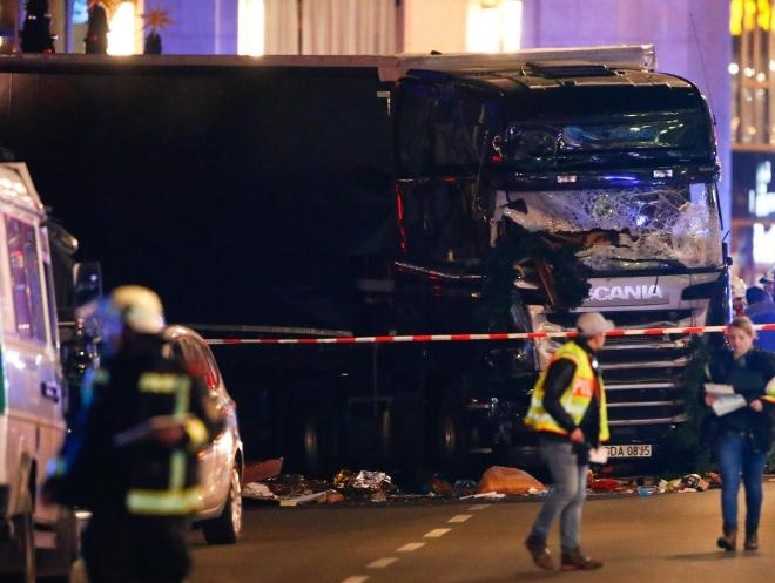 The critics claim that all that was necessary to protect the shoppers at the Breitscheidplatz Christmas Market was a dozen or so Jersey barriers, heavy concrete barriers with curved sloping sides designed to stop even the largest of trucks including the kind used in the attack. In defense of German authorities, one also need consider exactly how many outdoor Christmas malls such as the Breitscheidplatz Christmas Market exist in all of Germany and then figure the number of Jersey barriers would have been required. That would bring the total of Jersey barriers from around a mere dozen to a number somewhere in the tens of thousands. Were there lapses in Germany? What would be a better question would be are there lapses throughout Western nations from Germany to Britain to Italy and Poland, from Greece to Spain to Finland and Sweden, even across the pond to the United States and Canada? The answer is, of course, yes. Even in Israel where such attacks have occurred for a longer period the placement of large posts anchored into the pavement at bus stops, light train stations and other places where people might congregate is still an ongoing, though urgent, series of installations. This is understandable as first these places must be identified, as bus and light rail stops are simply the initial places requiring these instillations while taxi spots and even busy crosswalks in places in downtown Tel Aviv and Jerusalem as well as other cities take further research to identify and will hopefully eventually be discovered and protected. Of course the rule in terror attacks is whatever preventions are taken will simply change the threat making complete terror-proofing quite impossible; all one can do is alter the targeting. But just to prove that even the most rudimentary of efforts of prevention will be met with scoffing and ridicule, came care of Britain where there was a credible deterrent which some left wingers were rather critical. One of them wrote: “Safety is the last message this presence is sending out. It’s sad, and an extreme over reaction to a very slim chance of a terrorist attack. More likely to be hit by a drunk driver.” Such noble words of appreciation over even a modicum of effort to protect the public make one shake their heads in amused ridicule and disbelief. Can these people ever be pleased? Imagine the screams and protestations should there have been an attack even with the efforts which drew complaints over the effort. The leftists would be demanding heads of government officials responsible for the lack of sufficient efforts to prevent such an attack. It is understandable that not all terror can be prevented though it can be mitigated to minimal effect which while minimizing the deadly results of mass attacks such as in Germany, as has occurred in Israel, stabbing attacks still have the potential to inflict fatalities and injuries no matter anything short of a complete security provided by an actual police state. Every state need to decide what level of damage would be tolerated by the general public and then assure that their security levels are sufficient to surpass the level of expectation and assure that the people will feel secure. Failing to plan sufficiently will result in your facing the same level of disaster that is being faced by Chancellor Merkel and her government. But leftist trouble with reality is on even greater display when it comes to Israel. France’s leftist government is once again planning to hold a conference to address a new solution to the Arab Israeli conflict. Their plan is to have representatives from approximately seventy countries gathering on January 15, 2017 for a conference to throw the weight of the international community behind the two-state solution. Thursday’s announcement included the news that neither Israel nor the Palestinians will be present at the meeting. But France intends to invite Palestinian Authority President Mahmoud Abbas and Israeli Prime Minister Benjamin Netanyahu to Paris some time afterward to brief them on the outcome of the talks, according to the foreign ministry. Meanwhile, the new French Envoy to Israel said two weeks ago that the conference would not contain any novel ideas on how to solve the Middle East conflict, but is mainly intended to prevent the issue from disappearing amid other global crises. “What we propose is nothing new but [we are] trying to keep the subject on the agenda and not letting it down because there are other crises in the world,” Ambassador Hélène Le Gal said. “We continue to propose things and it’s always in a very good spirit toward Israel.” Keep the Arab Israeli or Israel Palestinian conflict in the new? Have they ever read any newspaper, the New York Times, Washington Post, Haaretz, Paris Guardian, Berlin Morgenpost or Pravda recently? I guarantee that not more than two or three days go by without at least two-thirds, that would be four of the six, would have at least one front page reference to the West Bank, Jerusalem, Temple Mount, Kotel, Settlement, Gaza, Palestinian or Israeli acts against Arabs almost all of which will be negative against Israel. You will likely see more front page news on the Arab Israeli conflict than on the violence in Iraq and even with if not more than Aleppo on an average week in the news, especially if you include television and radio news where time is more limited than is space on the front page of a newspaper. But the brilliant minds in Paris are afraid that the Arab Israeli conflict, particularly the plight of the poor and oppressed Palestinians, might be slipping from the public consciousness. Perhaps the reality is something different, but that can wait for now. The next item is the latest concern of the Security Council which was scheduled to vote on a resolution condemning Israeli building in Judea, Samaria (West Bank) and (East) Jerusalem and considering including in the resolution banning any further Israeli construction beyond the Green Line. The presentation of the resolution was postponed after Israeli Prime Minister Netanyahu appears to have spoken with President-elect Donald Trump who probably was the person who influenced Egyptian President Abdel Fattah el-Sisi who responded positively to discussions and pressures which desired that the proposal, at the very least, wait until after the Paris conference. 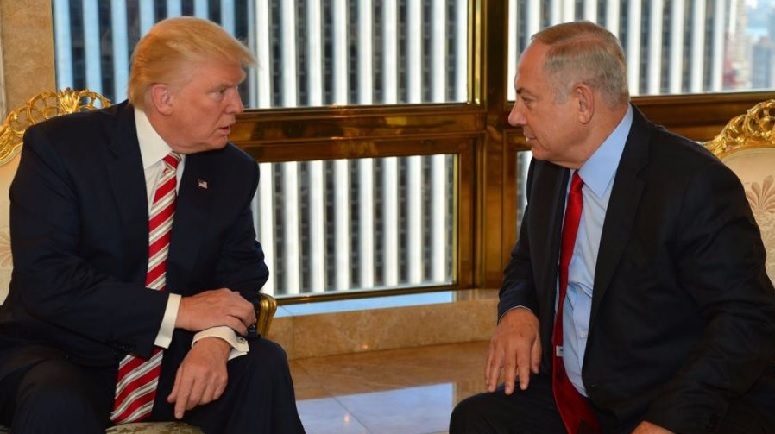 Netanyahu likely is also hoping that any proposal will not be considered until after January 20, 2017 at 12:00 noon such that President elect Donald Trump will officially be sworn in as President and Nikki Haley will be representing the United States in the Security Council and a new sheriff will be in charge, this apparently was not the case. Israeli Ambassador to the UN Danny Danon has stated, “The delay of the vote is an important step; however we realize that this issue is not yet resolved. We are continuing our diplomatic efforts on all fronts to ensure that this disgraceful resolution will not pass the Security Council.” All efforts came to naught except likely those from the White House from President Barack Hussein Obama who, sticking to his anti-Zionist and anti-Israel positions and vindictiveness toward Prime Minister Netanyahu and all Jews who are not 100% supporting the destruction of Eretz Yisroel and standing by President Barack Hussein Obama’s side, pressed to have this resolution voted upon immediately such that he and he alone would be recorded by history to have finally ended any Israeli compromises and granting the Arab Palestinian terror masters a blank check towards their desired goal of the destruction of Israel and the genocidal elimination of over six-million Jews residing in Israel, who had a strong arm in pushing New Zealand, Malaysia, Senegal and Venezuela (a nation which has no toilet paper, food, prescription drugs or any other vital items) brought the motion back to the floor after Shabbat had started in Israel. The motion passed unanimously with fourteen nations supporting and the United States, in their idea under Obama of a grand gesture, abstaining as if that makes them almost righteous. More on this in a subsequent article early next week as certain particulars become clear. The French are not the only people on the left who believe that the Israeli Palestinian conflict has not been addressed or given the necessary effort in order to solve it. President Obama was almost constantly complaining that this situation was not getting the amount of attention it deserves. Hillary Clinton had mentioned her intent to give this conflict the attention required to solve the problem. The French are also all-in on the situation and the new Canadian Prime Minister has supported the French efforts claiming that such an international conference is necessary because the world has not put forth the effort and solved the problem. This is despite the near constant addressing and passing of General Assembly Resolutions every year like clockwork at the opening ceremonies, the November 29th annual International Day of Solidarity with the Palestinian People, Durban Conferences and any other opportunity the Arab League or individual Arab leaders decide they need to renew their investment in their own standing at the cost of the Zionist entity, Israel, and present their own resolution condemning Israeli something or another as the what is irrelevant as the target of Israel is all that matters. Yet we have the French with atta-boys coming from every leftist leader on the planet backslapping them for their bravery in calling this conference and their claims that this effort will finally be the effort which brings forth a solution if only Israel can be pressed to make the needed sacrifice for peace. In closing, let us discuss the concept of “bring forth a solution if only Israel can be pressed to make the needed sacrifice for peace.” Israel was required by the world through United Nations resolutions, and the wording was made specific after much debate and every word was carefully checked and rechecked, and Israel was required to “return lands” and not return all lands or any set percentage or even a majority of the lands, just return lands and this return was to be governed by providing Israel with safe and secure defendable borders. These were the requirements and not in any way shape or form demanding a return to the pre Six Day War borders of the Green Line. Repetition of the lie that Israel must retreat completely has been given validity solely through sheer repetition but has no backing in truth. 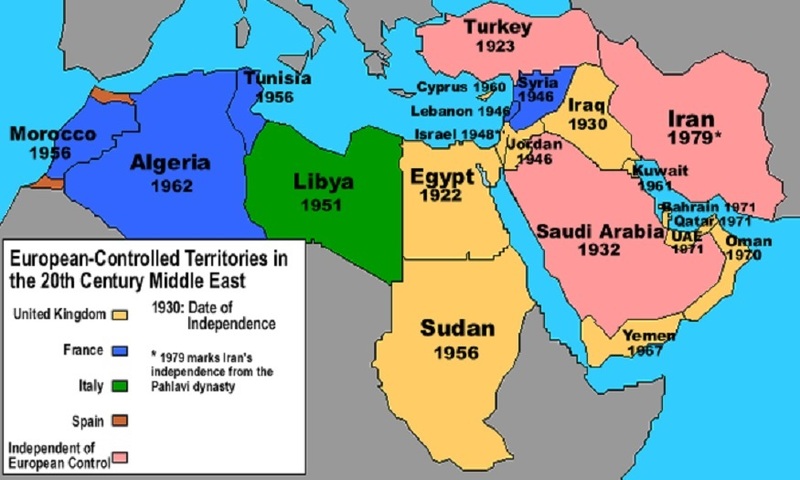 Once the Israelis returned the entirety of the Sinai Peninsula when making peace with Egypt they had more than met all the demands of the United Nations resolutions. They had more than exceeded most expectations as there were many who felt that Israel would demand to retain the western half of the Sinai Peninsula making the central spine of mountains the new Israel-Egyptian border. Whether returning all of the Sinai Peninsula was a wise move will remain undetermined but will appear as a good deal as long as there is no attack from Egypt in the future. Add the granting of Gaza to the Palestinian Authority, who almost immediately lost it to Hamas causing the constant terror threat of rockets, mortars and other attacks from Gaza onto and into Israel, simply added more to the lands returned by Israel. 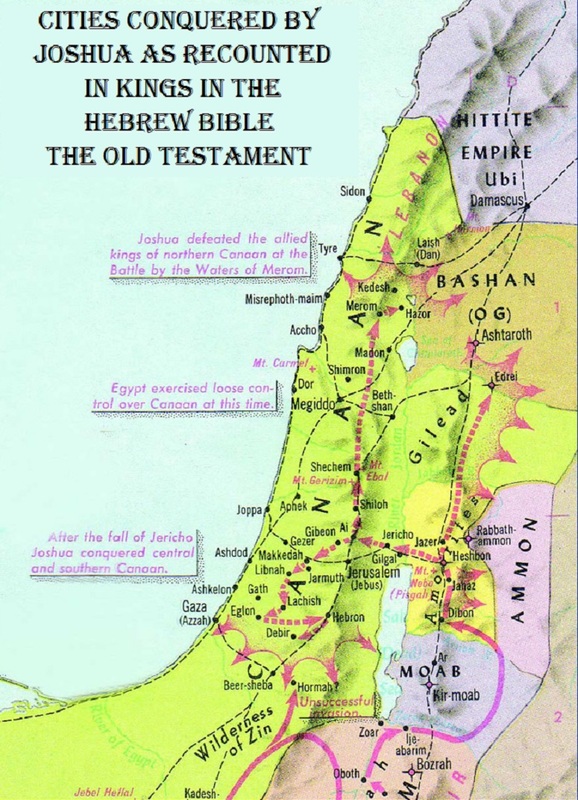 Israel would be completely within their rights to retain all of the remaining lands gained in their defensive wars of 1967 and 1973 which were the six Day War and the Yom Kippur War. Despite this truth the French and much of the world believe that Israel has not given enough and would probably accept that Israel had not given enough even if they did return within the Green Line. 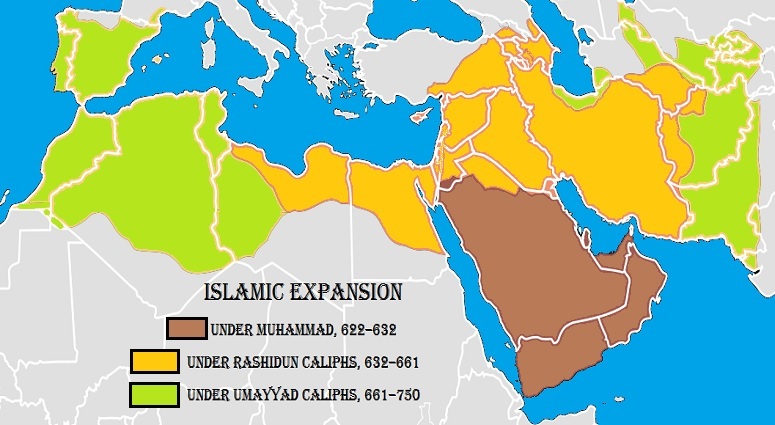 The Arabs believe that as long as Israel exists, then Israel has not given enough. If the French would like to have a hint as to what would be acceptable to the Arab League and the Arab world, here it is in a simple concept, the end of Israel and the disposing of the Jews residing there by whatever means necessary with their annihilation being the preferred method by much of the Arab world. That will never happen and Israel will be retaining much of Judea and Samaria and if the Palestinians cannot handle that then Israel will gladly just retain all the land, period. That will make the leftists squirm as they really have a problem with assertive Jews; even the leftist Jews have a problem with assertive Jews. We know as we have witnessed such discomfort simply by walking into a Synagogue in much of the United States, and that is a shame, the real shame.